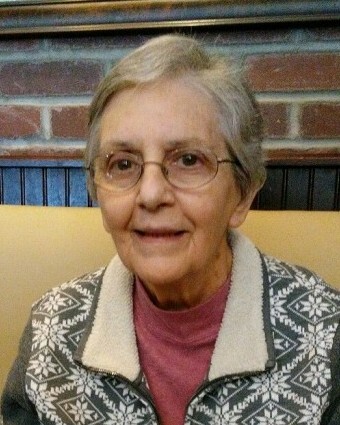 Jean (Pannier) Linnehan, 82, a lifelong resident of Springfield, died late Saturday evening, August 11, 2018 at Wingate of Hampden. She was born and educated in Springfield, a daughter of the late Elton and Laura (Obin) Pannier and was a graduate of the former Springfield Technical High School. Jean was an avid walker as well as a gracious caregiver to her family and friends alike, looking after many of their children while their parents were at work. She was the beloved wife of the late William H. Linnehan who died in 2005 and leaves two loving daughters, Donna L. Linnehan and her wife Joyce Ward of Ware, and Kathy DeAngelo and her husband Greg of Hampden; a step-son, Fran Linnehan and his wife Julie of Chelmsford, MA; two brothers, Bruce and Brian Pannier of Ohio; three sisters, Karen Cooley of PA, Debra Gran of Fiskdale, MA, and Susan Lorange of Rochdale, MA; three grandchildren, Todd DeAngelo and his wife Kelly, Karly DeAngelo, and Michael Linnehan and his wife Alycia; two great-grandchildren, MacKenzie Linnehan and Emily Fleury; her best friend of 58 years, Judy Davis; as well as numerous nieces and nephews. Besides her parents, she was predeceased by her daughters, Sharon Linnehan in 1964 and Robin Linnehan in 2000. A graveside service will be held Friday, August 17th at 11:30 AM in Hillcrest Park Cemetery, 895 Parker Street in Springfield. In lieu of flowers, contributions in Jean’s memory may be directed to the Cystic Fibrosis Foundation, 220 N. Main St., Natick, MA 01760.